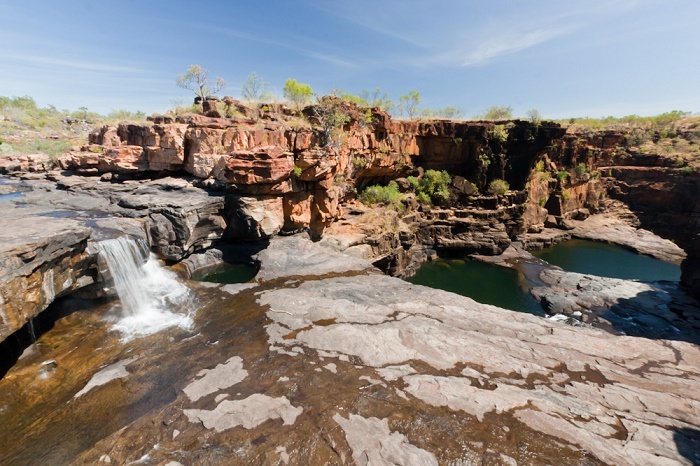 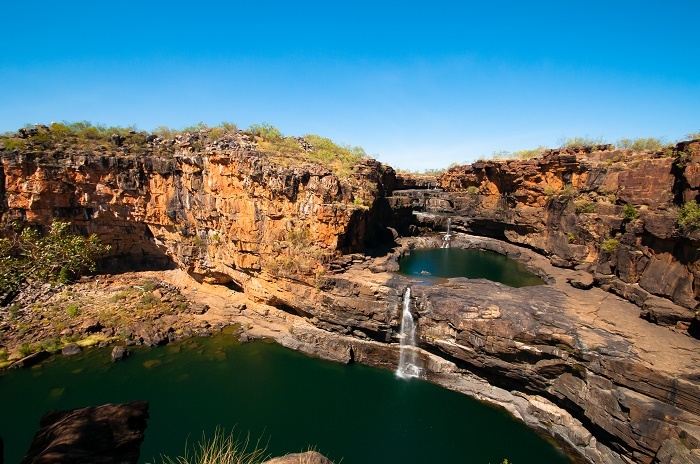 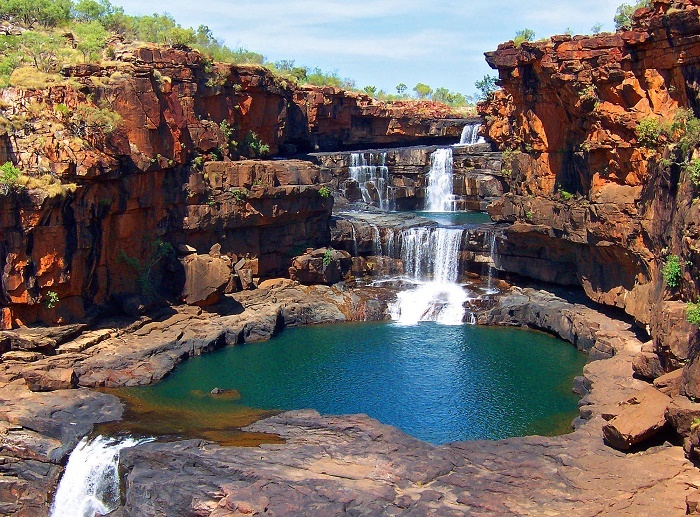 Mitchell Falls is an impressive four-tiered waterfall that is located on the Mitchell River in the Kimberley Region, the State of Western Australia that comprise the Commonwealth of Australia. 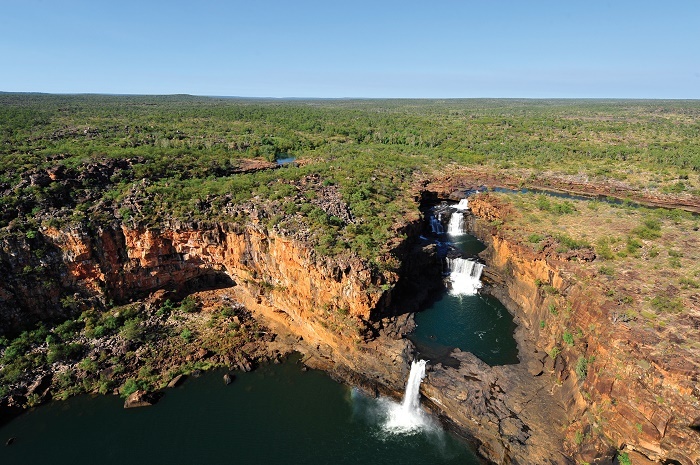 Being part of the Mitchell River National Park, which is not to be confused with the national park that has the same name as the park in the State of Victoria, south east of Australia, the Mitchell Falls are one of the main attractions of the park. 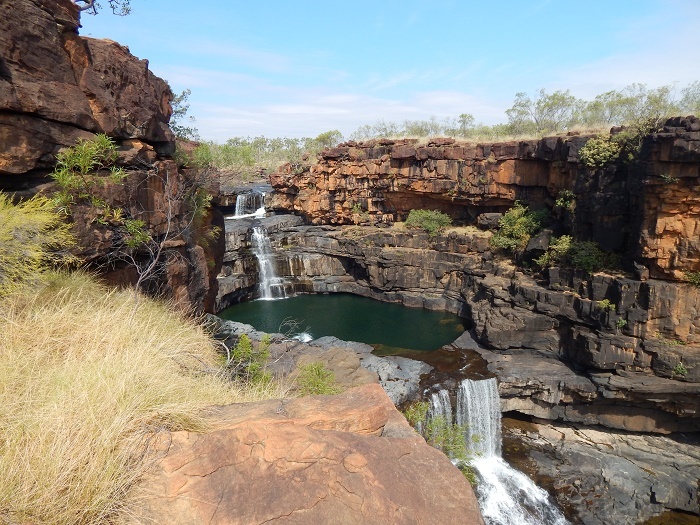 Providing a scenery of an oasis that is nested in a rugged red rock wilderness, the waterfall can be accessed by helicopter, or if one is adventurous enough by foot during the dry season. 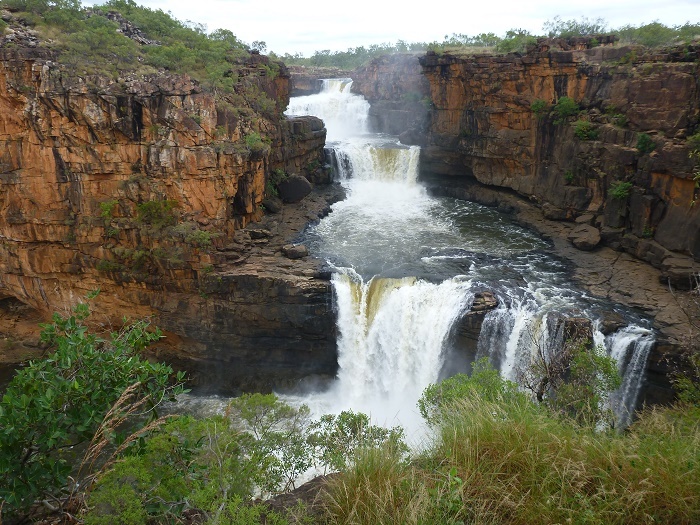 It is very dangerous to visit them in the wet season, as the torrential make the rivers to run wild, and also they are eroding the riverbeds, carrying away everything in their path. 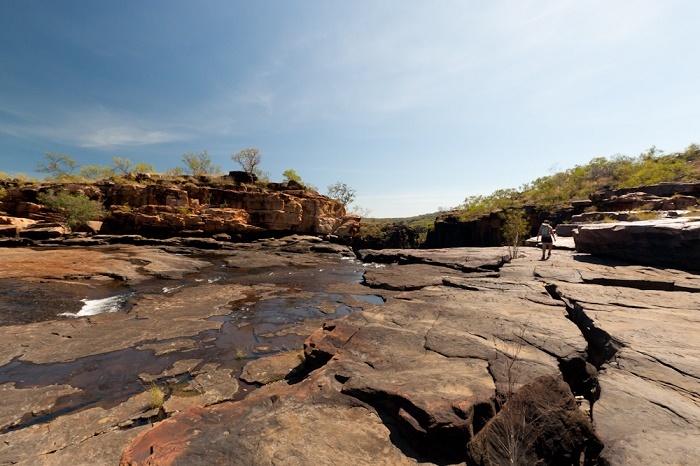 This most photographed attraction in the state is also known as Punamii-unpuu to the Wunambal people, and getting there might be difficult, nonetheless, it is worth in every way. 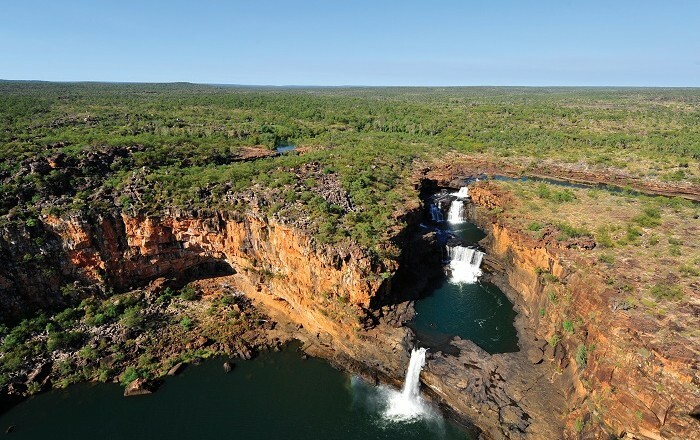 According to some, Mitchell Falls is considered to be the second tallest waterfall in the State of Western Australia, with a cumulative height of some 80 meters (262 feet), and the red rocks of the Mitchell Plateau provide to every visitor an extraordinary experience which is unforgettable and inspiring.